So who does own our love nest? 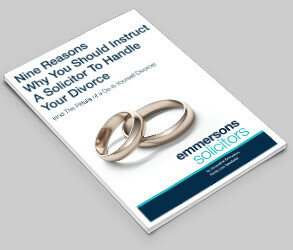 As Emmersons Solicitors deals with property law and family law we have cases that crop up that often cover both areas. People often assume that as they put money into a house they must own it, others assume just because they live in a house that they must have a legal interest in it. Two recent cases highlight the complexity. In the first case David and Billy had bought a house together. However, they were short of money for their deposit so Billy’s father gave them a lump sum to help with the purchase. The couple were about to split up and the question arose as to how much money each of them was entitled to from the sale of the house. Billy said that his father would need his money back first. What we needed to consider was whether or not Billy’s father had an interest in the property, had he meant to loan the couple the money or was it a gift to the two of them? Was he on the title deeds as being an owner, was his share of the property specified in a trust deed? Neither Billy nor David had a clue, and this is often the case. If your parents are giving you money as a deposit for a house all of the above should be considered. If a dispute arises over the issue then ultimately, in this case, Billy’s father would have to become a third party in court proceedings. The cost of the proceedings in many cases could be more than the money given/loaned in the first instance. If money is to be repaid then a trust deed should be set up showing this and the fact should be registered at the Land Registry as part of the initial Conveyancing process. However, the solicitor helping the purchasers would need to be made aware of this at the time. This would protect the parent making the loan, especially if one of the parties died before the money was repaid or was declared bankrupt. This leads me on to the next case. John and Sally, who had both been married before, were going to buy a house together using the proceeds of sale from their previous properties. However, John’s house didn’t sell fast enough and so Sally bought the house in her name only. Later when John’s house was sold he put all of his sale proceeds into the new house. However, he discovered that it was going to cost about £500.00 to have his name added onto the title deeds. He thought this was expensive and so left matters. Fast forward ten years and Sally was declared bankrupt. The Trustee in Bankruptcy declared an interest in the whole property. John was left with legal fees of well over £500.00 to persuade the Trustee that he had a 50% interest in the property. Fortunately for him he was able to provide an audit trail showing that he had used his money to reduce the mortgage and so could prove an interest in the property. If you think that the legal ownership of your home needs to be reconsidered then don’t wait ten years, seek help now. Contact Emmersons Family Law Departement.